One of the ingredients in a happy life is creating positive emotion, and savoring and being grateful. On a cold, rainy/snowing/sleeting day is a great time to hunker down and get cozy. Here are a few of my favorite and simple ways of creating a cozy atmosphere. Turn on the fireplace if you have one. If you don't have a fireplace, light a candle. 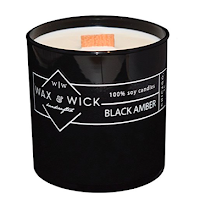 I love this candle from Wax & Wick . It's 100% soy (clean burning), has a wood wick, so it crackles like a fire as it burns. They have multiple scents and sizes. The smell is light and not too much. I like Forest and Black Amber. 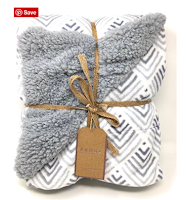 Cozy Blanket and Pillow is a must for your spot in your favorite cozy chair or sofa. 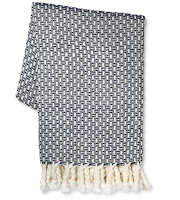 This Relive Prose Amsterdam Nacht reversible blanket is mink velvet on one side and berber sherpa on the other, and it's washable!! A must if you cuddle with animals (two or four legged ones). I love the colors in this gray and white one. This one is from Target (and on sale now for $18.74!) It comes in blue and tan and if you click on the Target add somewhere on this page, you get free shipping on orders over $35.00. Hot Chocolate is always good, but have you tried heating up Apple Cider with a couple of cinnamon sticks, whole cloves, allspice, and a dash of nutmeg? Yum. 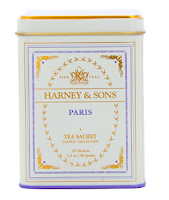 This tea from Harney & Sons is deliciousness in a cup. This is the Paris blend - vanilla, caramel with a slight hint of bergamot. Plus, the tin is so cute. I have one holding my pens on my desk. The Vanilla Comoro is really good too if the Paris blend doesn't sound like your cup of tea (see what I did there ;-)) . This brand has many different flavors, from English, to Fruity flavors like Black Currant, to Cinnamon Spice. You can't go wrong. 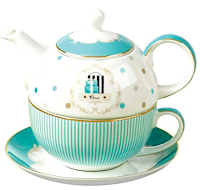 And tell me this teapot by Jusalpha isn't cute and Tiffany like? Plus there is just something that makes me feel so sophisticated about drinking out of a cup with a saucer. It makes me feel like a grown-up. Don't forget some music and a good book. Book tastes vary, so I have a hard time recommending without knowing what you may like, but if you are looking for some suggestions, go to www.Goodreads.com. You can look up any book and see what others thought about it before committing. There are also lists in every conceivable genre so you will never be without a suggestion again. If you like reading from a Kindle (or other e-reader), consider www.Bookbub. They send me a list of books in the genres I have chosen on sale mostly between free and $1.99, but never more than $3.99. I have gotten some really great books that were on my "To read" list. There are some stinkers in there for sure, so I always head to Goodreads first to check it out before clicking on the buy option. 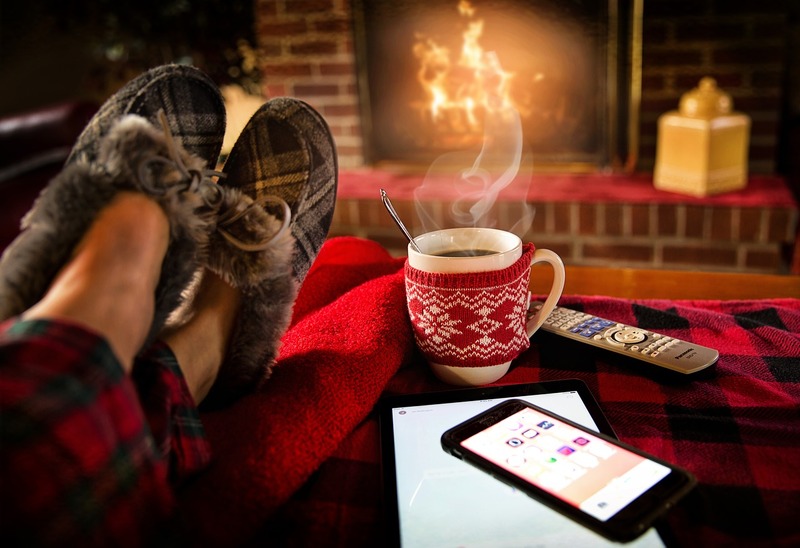 Stay warm and cozy today!